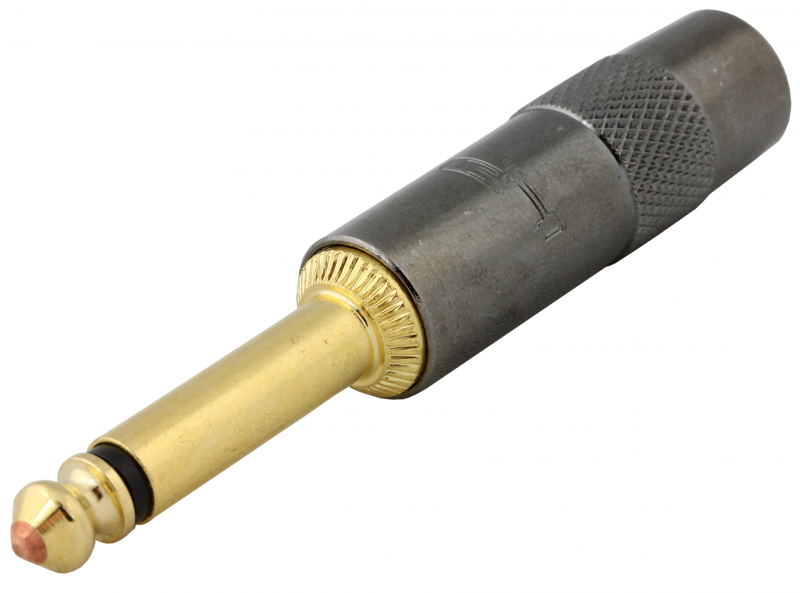 G&H - Abbatron G&H Straight 1/4" Plug, Gold with Gun Metal Housing • Gold contacts with gun metal gray housing. • Exit hole sizes: 0.300" is standard • Optional oversized: 0.322", 0.340" or 0.375" • For best shielding, keep hole small as practical for your wire, (for example 0.300" if possible). • Gold contacts with gun metal gray housing. A one-time price of $3.27 will be added to your order.